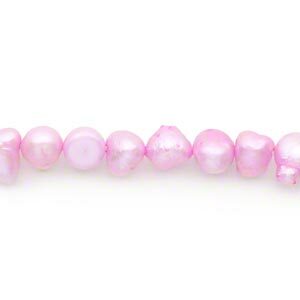 Pearl, cultured freshwater (dyed), baby pink, 5-6mm flat-sided potato, D grade, Mohs hardness 2-1/2 to 4. Sold per 15" to 16" strand. 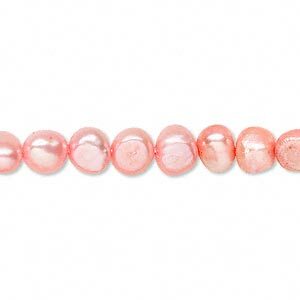 Pearl, cultured freshwater (dyed), salmon, 5mm flat sided potato, D+ grade, Mohs hardness 2-1/2 to 4. Sold per 15-inch strand. 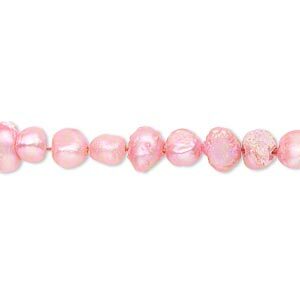 Pearl, cultured freshwater (dyed), dark blush, 4-6mm flat-sided potato, D grade, Mohs hardness 2-1/2 to 4. Sold per 14-inch strand. 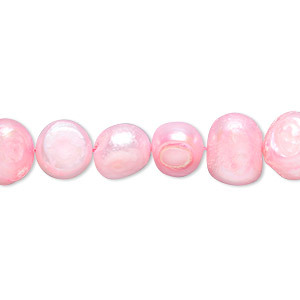 Pearl, cultured freshwater (dyed), salmon, 6-7mm flat sided potato, D grade, Mohs hardness 2-1/2 to 4. Sold per 15-inch strand. 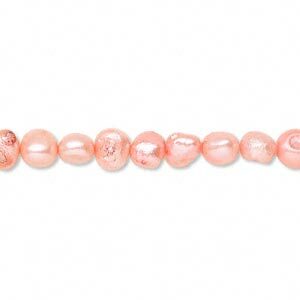 Pearl, cultured freshwater (dyed), old rose, 7-8mm flat-sided potato, D grade, Mohs hardness 2-1/2 to 4. Sold per 15-inch strand. 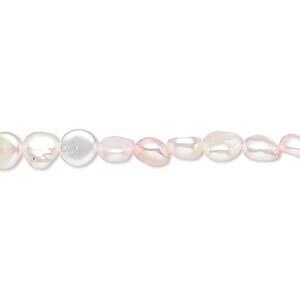 Pearl, cultured freshwater (dyed), flamingo, 8-10mm flat-sided potato, D grade, Mohs hardness 2-1/2 to 4. Sold per 15-inch strand. 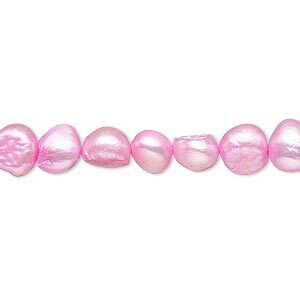 Pearl, cultured freshwater (dyed), mountain pink, 5-7mm flat-sided potato, D grade, Mohs hardness 2-1/2 to 4. Sold per 15-inch strand. 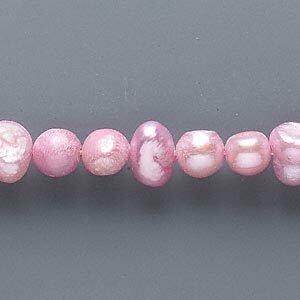 Pearl, cultured freshwater (dyed), mountain pink, 6-8mm flat-sided potato, D grade, Mohs hardness 2-1/2 to 4. Sold per 15-inch strand. 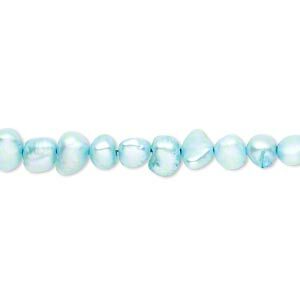 Pearl, cultured freshwater (dyed), teal blue, 4-5mm flat-sided potato, D grade, Mohs hardness 2-1/2 to 4. Sold per 15-inch strand. 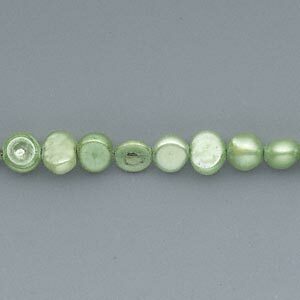 Pearl, cultured freshwater (dyed), avocado, 5-6mm flat-sided potato, D grade, Mohs hardness 2-1/2 to 4. Sold per 15-inch strand. 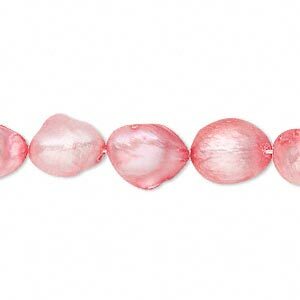 Pearl, cultured freshwater (dyed), old rose, 6-7mm flat-sided potato, D grade, Mohs hardness 2-1/2 to 4. Sold per 16-inch strand.